With the new school year back in full swing your morning juggling act becomes so much more difficult now that the kids are toting backpacks and lunches along with all their other miscellaneous school-related needs. Stuffing everything into the trunk and backseat of your sedan seems almost impossible somedays but somehow you make it happen and generally in just enough time to get the kids to school and yourself to work right before the bell. 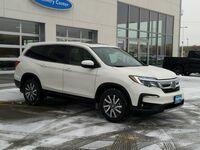 What you need is the stylish and versatile 2019 Honda Pilot from Van’s Honda in Green Bay, WI with its flexible interior seating that makes it easy to go from bringing the kids to school to loading it full of groceries for the week. 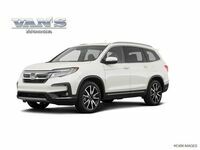 You can check out all the exciting specs and features of the 2019 Honda Pilot below and you can get behind the wheel of the 2019 Pilot today at Van’s Honda in Green Bay. 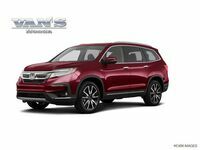 What are the New Specs & Features of the 2019 Honda Pilot? 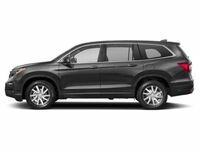 The 2019 Honda Pilot is available in five trim levels, the LX, EX, EX-L, Touring, and Elite. All five trim levels get equipped with a 3.5L 24-Valve V6 engine that arms the 2019 Pilot with 280 horsepower, 262 lb-ft of torque, and a 3,500-pound max tow rating in standard Two-Wheel Drive (2WD). 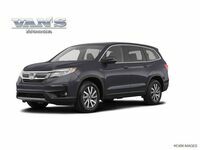 All-Wheel Drive (AWD) is an option for the LX, EX, EX-L, and Touring trim levels and it is standard equipment for the Elite trim and when the 2019 Honda Pilot works in AWD it can tow up to 5,000 pounds. 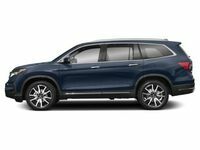 The cabin of the 2019 Honda Pilot has standard seating for eight people and the Touring trim level offers seven or eight-person seating while the Elite trim level only has seating for seven thanks to its standard second-row captain’s chairs. All passengers will enjoy the standard 5” Color LCD Display with 7-Speaker stereo and Bluetooth® connectivity. The EX, EX-L, Touring, and Elite trim levels receive an 8” High-Resolution Display with Customizable Features, HondaLink®, CabinControl™ Remote Capability, Apple CarPlay™, and Android Auto™. Upgrade all the way to the 2019 Honda Pilot Elite and get rewarded with a 550-Watt 10-Speaker Premium Audio System, the CabinTalk™ In-Car PA System that works through the speakers & rear headphones, along with Mobile Hotspot & Wireless Charging Capability. 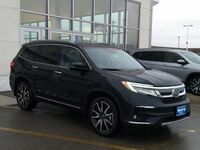 Take the 2019 Honda Pilot for a test drive today at Van’s Honda in Green Bay and experience everything that it has to offer.